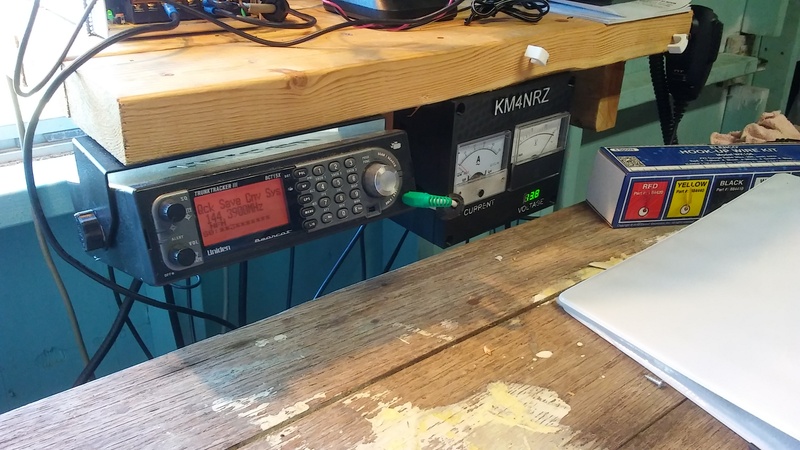 Been meaning to write a bit about my APRS setup for a while now. 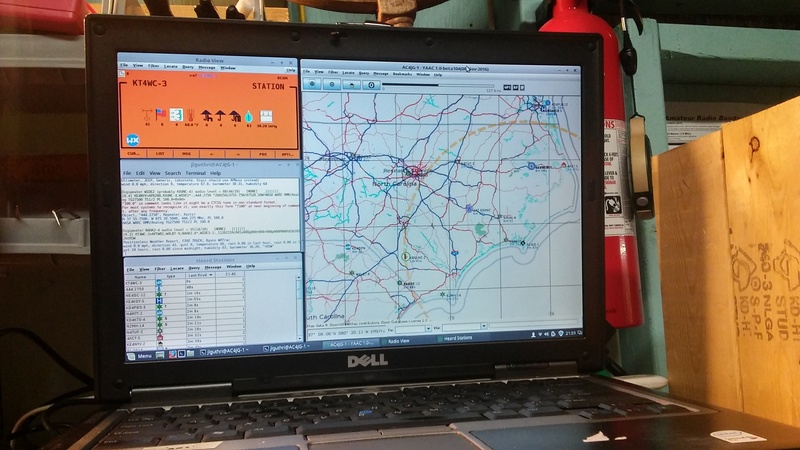 Primarily, as many others have, to demonstrate how inexpensive APRS can be. Some good discussion on what APRS is can be had here and here. First, you can see my APRS stats, etc from aprs.fi. Nothing special. The antenna I use is a Firestik 2MCKB that can be had on amazon.com for around $30 (this is the most expensive thing that I didn’t have lying around). 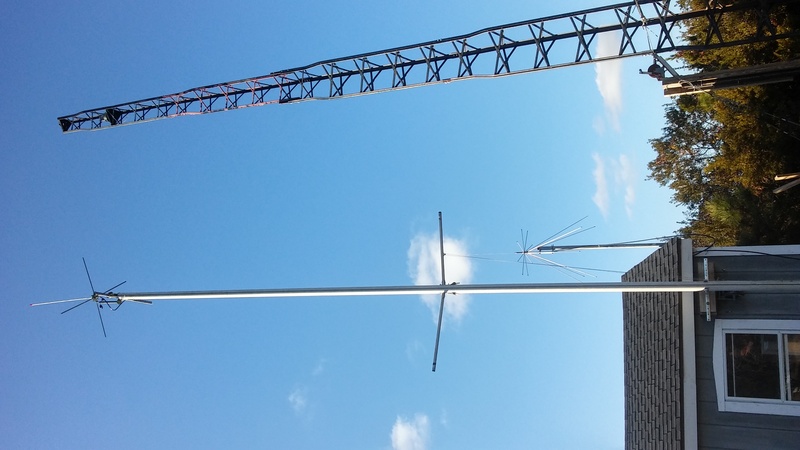 The antenna tower is comprised of an old sailboat mast and is fed with some RG-11 coax I had laying around. 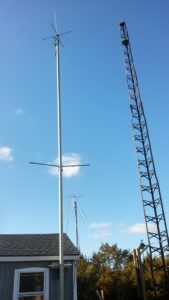 The mast has the ability to tilt down (when hurricanes head our way) by pulling a single bolt, and unwinding the brake winch. I understand, the best I can hope for is a 1.5 SWR with RG-11, but can’t argue with free. Besides, the F-connectors I’m using are supposed to be waterproof (we’ll see). The signal then goes to an old Bearcat I have. The eventual plan is to feed it to a Baofeng, which will allow me to transmit. The audio output (from headphone out) then goes into a $9 usb sound card, that I got off Amazon. 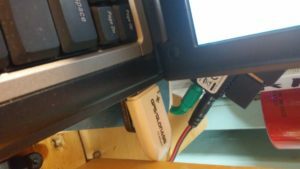 The sound card is plugged into laptop I got for $11 via surplus auction. The laptop is running Mint Linux. I’m using direwolf to decode the APRS packets (you can see some in the terminal emulator) and YAAC for display. I’m starting to prefer YAAC over xastir as, frankly, it is prettier. This laptop is running from a bootable USB thumb drive (I was to cheep to buy a hard drive for the laptop). Care must be used when setting the volume levels from both the scanner and the audio in (mic) levels on the usb sound card. Quieter is better. Even though it is a fixed location (I plan to eventually put one of these in the car), I put a eight dollar USB GPS on the machine. It is running via gpsd.